Welcoming a newborn into your home is a special feeling but also can bring anxiety about their newborns wellbeing. The premium value pack of Babysense 2 Breathing Monitor with Secure 710 Video Monitor from Oricom is a solution for all multi-tasking parents, who are trying to juggle multiple tasks yet to simplify looking after a baby when it arrives at home. With these monitors, you can watch and hear your child even when occupied with other tasks around the house. These monitors are a valuable investment in managing your baby's wellbeing, much similar to picking a sturdy stroller, cot or bassinet. They make an excellent gift for a friend or family members. A baby monitor provides peace of mind and the flexibility to complete other activities at home. 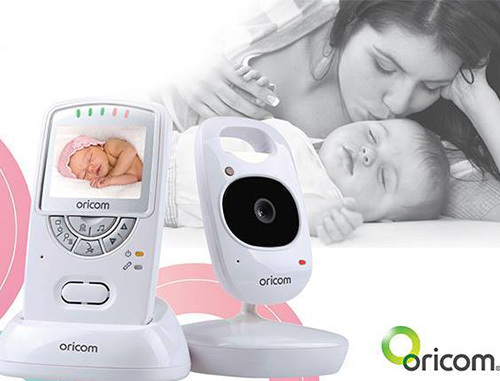 Oricom’s Secure 710 Baby Monitor offers fantastic features. Enjoy the peace of mind and reassurance that only a trusted, premium quality, baby sleep monitor can provide. 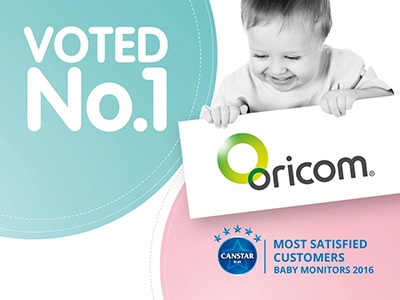 The Oricom Babysense2 Infant Breathing Movement monitor allows you to monitor the breathing movement rate of your sleeping baby whatever time of day or night so you can always be sure that they are safe. The monitor is designed for babies up to one year of age. Battery performance Up to 8 hours of continuous operation on fully charged battery with VOX turned ON. Range Up to 150 metres under optimum conditions. Range is reduced in buildings through walls, doors etc.